One of the most basic principles of incineration is that what goes in, must come out. There is no alchemy going on, so if there are toxic heavy metals like lead, mercury or arsenic going in one end, they must come out in the form of toxic ash and toxic air emissions. When another class of contaminants known as halogens enters an incinerator, you have another situation on your hands. These halogens (chlorine being the most prominent) are often released in the form of acid gases (contributing to acid rain and respiratory problems) and also are released in small volumes of extremely toxic chemicals called dioxins and furans (among the most toxic chemicals ever studied). Naturally, when evaluating incineration, one of the first questions becomes "what is going in to the incinerator?" Incineration of poultry waste bring much needed attention to what is in poultry waste and in the chicken and turkey feed itself. Studies have shown arsenic concentrations in poultry litter to be between 15 and 35 ppm (parts per million). [2,3,10] At these concentrations, one can expect that the 300,000 tons per year of chicken litter than Fibrowatt plans to burn at their proposed Hurlock, Maryland and Magee, Mississippi plants would contain 9,000 to 21,000 pounds (4.5 to 10.5 tons) of arsenic. Fibrowatt's first and largest proposal in the U.S. - one for 500,000 tons per year of turkey waste in Benson, Minnesota - would burn waste containing 15,000 to 35,000 pounds (7.5 to 17.5 tons) of arsenic each year. Even if pollution control equipment were able to remove 99% of this arsenic, that would leave 90-210 pounds (150-350 for Minnesota) of arsenic air pollutants, making these incinerators a major source of arsenic air pollution. The Fibrominn air permit projects that the Benson plant would emit 64 pounds a year of arsenic into the air, meaning that the plant's pollution controls would have to capture between 99.6 and 99.8% of the arsenic. Any arsenic captured in pollution controls would not simply disappear, but would become part of the fly ash, which Fibrowatt plans to sell as fertilizer. [12,13,14,15] This is a lose-lose proposition. The lower the air emissions (due to better pollution controls), the more toxic the ash "fertilizer" will be. Minnesota state law sets an ambient air limit standard of 0.002 micrograms per cubic meter for arsenic. There is reason to believe that the "Fibrominn" incinerator may violate Minnesota's Chronic Health Risk Value for arsenic and arsenic compounds, which ought to be measured at Fibrominn's property line. State regulators in Minnesota, where the first poultry waste incinerator in the U.S. is planned, are relying on self-reported data from one of Fibrowatt's 3 existing facilities (all of which are in the UK), concluding that arsenic won't be a major concern at the proposed Fibrominn plant. However, one of the other two Fibrowatt plants in the UK (Fibrogen in North Lincolnshire) is listed as the 27th largest arsenic air emitter out of the 93 listed in the 1998 Pollution Inventory of Industrial Units in England and Wales. It is being assumed that emissions from a poultry waste burner in the U.S. would be comparable to the British facilities, even though no effort has been made to evaluate whether arsenical and other feed amendments are used as widely in the British poultry industry as in the U.S. Until this is known, extrapolations of emissions from Fibrowatt's UK facilities to those in the U.S. are inappropriate. Arsenic is more toxic than lead and has been the subject of much political debate after much scientific research led policymakers to seek to lower the allowable amount of arsenic in drinking water. [19,20] Arsenic's use in wood-treatment chemicals has been phased out. Arsenic is classified as a known human carcinogen and, when inhaled, can cause cancer in humans, particularly lung cancer. [10,22,23,24] A new study suggests that arsenic interferes with hormones, making it a potent endocrine disrupter. The air pollution permit for the proposed Fibrominn project allows that incinerator to emit nearly 5 million pounds of regulated air pollutants each year, including 388,000 pounds of sulfuric acid, 236,000 pounds of hydrochloric acid and 4,600 pounds of hydrofluoric acid. That's about 1,722 pounds a day of acid gases released into the sky above Benson, Minnesota. The permit states that "the proposed source will be a major source for hazardous air pollutants." This is a gross understatement. It would not only be "a major source" -- if nearing their permit limits, the incinerator would be the largest source of sulfuric acid in Minnesota (exceeding the COMBINED emissions of all of the coal-fired power plants and other sources in the state which reported their toxic releases to the U.S. EPA's Toxic Release Inventory database in 2000). It would also be the second largest source of hydrochloric acid air pollution in the state, beating out the state's paper mills, an oil refinery and all but one of the state's coal-fired power plants. Fibrowatt would argue that their actual emissions would be nowhere near their permit limits and that it would be improper to compare their permit limits with actual (self-reported) emissions from other industries. Were this true, it begs the question: why would Fibrowatt need permit limits far, far higher than what they expect to release? To make a fair comparison, it would be best to compare actual emissions to actual emissions, or permit limits to permit limits. The Blue Ridge Environmental Defense League (BREDL) -- a regional grassroots environmental network based in North Carolina -- is fighting Fibrowatt's plans to build three poultry waste incinerators in North Carolina. They compared the permitted emissions from Fibrowatt's Minnesota plant to the permitted emissions of a new coal power plant planned in North Carolina. The comparison shows that Fibrowatt's permit limits are higher for four of the five major regulated air pollutants regulated in these permits. Emissions of nitrogen oxides (NOx) and acid gases (hydrochloric and sulfuric acids) would be 2-3 times higher from Fibrowatt (129% and 162% increases, respectively). Emissions of particulate matter would be 33% and carbon monoxide would be 60% higher. The sulfur dioxide emissions would be 53% lower. In November 2007, Fibrowatt countered this comparison, arguing that they wouldn't be as polluting as a coal plant. They did their own comparison -- comparing actual emissions from the just-opened Fibrominn plant to existing coal power plants in North Carolina. While a comparison of actual emissions would naturally be best, Fibrowatt's comparison is a false one. They compared their incinerator to coal power plants that were built decades ago, which would be illegal to build today, without being subjected to much more stringent air pollution laws. As it turns out, BREDL's comparison is more accurate, as it compares "apples to apples" by looking at recent permits under modern-day air pollution laws. When Fibrowatt was asked whether they could meet the current limit for nitrogen oxide emissions that the Cliffside coal power plant proposed in North Carolina would have to meet, they responded that they could not. An environmental engineer in the North Carolina Division of Air Quality affirmed, in a 2006 article in the Charlotte Observer, that Fibrowatt's "emissions would be similar to those of regular coal-fired power plants." Dioxin was declared a Class 1 carcinogen, or "known human carcinogen," by the International Agency for Research on Cancer (IARC), an arm of the World Health Organization, in February, 1997. This was confirmed by the U.S. National Toxicology Program in their Ninth Report On Carcinogens. 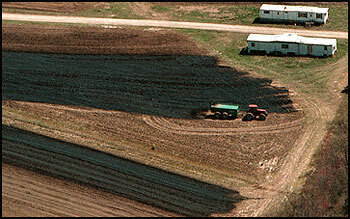 In 2001, Bush's EPA signed an international agreement seeking to eliminate sources of dioxin. Dioxin is formed accidentally in the course of most incineration processes and in certain other industries where chlorine is used. Incinerators are the largest known source of dioxin. Dioxin wouldn't be much of an issue if the ingredients for forming dioxin weren't being placed in the incinerator. Dioxin production requires hydrocarbons and chlorine. Poultry litter is full of hydrocarbons, both in the manure and the bedding. There should be no shortage of chlorine in the poultry litter, either. This is apparent from the huge amount of hydrochloric acid that the Fibrominn incinerator would be permitted to release. One of the sources of chlorine is from the various drugs and pesticides used in the poultry industry. Chlortetracycline is a chlorinated growth-promoting antibiotic widely-used in the broiler industry. Also, at least seven other drugs, most of them anticoccidials are chlorinated. One of the more commonly used anticoccidials is Amprolium. The residues in poultry litter of Chlortetracycline and Amprolium alone rivals that of Roxarsone, the most common arsenical. With this many tons of chlorinated drug residue in poultry litter, there is undoubtedly an ample supply of chlorine for dioxin formation. After all, dioxins are typically measured in nanograms and picograms, since they are toxic in such tiny amounts. Poultry are treated with copper sulfate to avoid a common disease called "aspergillosis." Evidence from chicken litter in Arkansas shows nearly twice as much copper as arsenic in poultry manure. In fact, copper levels in chicken litter as high enough that cattle have died from copper poisoning from being fed chicken litter. Iron and zinc are also used as feed additives. They are found in even higher levels in poultry manure than arsenic and copper. Arkansas chicken manure contains 11 times as much iron as arsenic and 12 times as much zinc. Fibrowatt's existing poultry waste incinerators in the UK produce ash which, according to Fibrowatt's own data, contains significant amounts of copper, iron and zinc. Copper, iron and zinc are a particular hazard when placed in an incinerator, since they serve as catalysts for dioxin formation. This means that these metals will create a surface for dioxins - the most toxic chemicals known to science - to form out of the hydrocarbons and chlorine in the burner. While copper is the most effective catalyst, iron and zinc are also quite effective at boosting dioxin production. 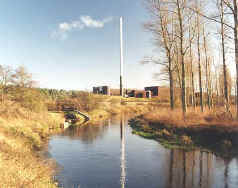 Although poultry waste incineration is touted as "renewable biomass" and "green energy," the dioxin pollution levels being granted for the Fibrominn incinerator are comparable to dioxin emissions from municipal solid waste (MSW) incinerators currently operating in the U.S. MSW incinerators are - categorically - the country's largest known source of dioxin emissions. The Fibrominn incinerator is only required to use continuous emissions monitoring systems for nitrogen oxides (NOx), carbon monoxide, sulfur dioxide (SO2), oxygen and opacity. Not a single toxic pollutant will be monitored on a regular basis. Dioxins and furans will be tested only once. Hydrochloric acid, mercury and fine particulate matter (that under ten microns in size -- called PM10) will be tested only 5 times, over the course of the first 15 months of operation and none thereafter. Other pollutants that never have to be monitored include ammonia, sulfuric acid, hydrofluoric acid, polycyclic aromatic hydrocarbons, volatile organic compounds and toxic metals (including arsenic). Any claims of emissions being "clean" or "safe" need to be understood in the context that no one really knows what's being emitted since testing isn't being done for most of the toxic and hazardous pollutants. Continuous emissions monitoring technology exists for all of the above-mentioned pollutants, but state agencies aren't in the habit of requiring their use, and companies have no interest in obtaining data on their emissions if they're not forced to. Momplaisir, G. M; C. G. Rosal; E. M. Heithmar "Arsenic Speciation Methods for Studying the Environmental Fate of Organoarsenic Animal-Feed Additives," U.S. EPA, NERL- Las Vegas, 2001; (TIM No. 01- 11). Available at: http://www.epa.gov/nerlesd1/chemistry/labmonitor/labresearch.htm Arsenic concentrations cited as 15-30 ppm. Miller, C.V., T.C., Hancock, and J.M. Denver, 2000, "Environmental Fate and Transport of Arsenical Feed Amendments for Animal Agriculture," American Geophysical Union, 2000 Spring Meeting: Integrative Geoscience Solutions -- A Start for the New Millennium, May 30 - June 3, 2000, Washington, DC. Abstract available at: http://va.water.usgs.gov/GLOBAL/Abst/hancock_agu_2000.htm Arsenic concentrations cited as 15-35 ppm. "Chickens, manure, and arsenic," Environmental Science & Technology Policy News, March 22, 2001. Available at: http://pubs.acs.org/doi/pdf/10.1021/es012337m Arsenic concentrations cited as 30-50 ppm. Holleman, John T. In Arkansas Which Comes First, The Chicken Or The Environment? Tulane Environmental Law J. 6.1, 1992. Concentrations of metals in Arkansas poultry manure cited in "Intensive Poultry Production: Fouling The Environment" article by United Poultry Concerns, on the web at http://www.upc-online.org/fouling.html. "Factory poultry manure contains heavy metals. The 5,100 tons of poultry manure produced daily in Arkansas dumps into the environment, each day, 3,100 pounds of manganese, 3,300 pounds of iron, 540 pounds of copper, 3600 pounds of zinc, and 300 pounds of arsenic." The concentrations given for arsenic work out to 29.4 ppm. "Draft Air Permit No. 15100038-001" and "Technical Support Document for Draft Air Emission Permit No. 15100038-001," Minnesota Pollution Control Agency, August 2002. To request a copy of the Fibrominn air permit, contact Jenny L. Reinertsen, P.E., Majors and Remediation Division, MPCA at 651-282-9889 or 520 Lafayette Road North, St. Paul, Minnesota 55155. The projected arsenic emissions from the Fibrominn plant are in the Technical Support Document, under the Air Toxics Screening Analysis. Table 10-1, titled "Fibrominn Emission Rates for Air Toxics Review" was written by Alternative Resources, Inc. on Aug 13, 2001. The table projects 0.032 tons per year (which amounts to 64 pounds per year). Ibid. Page 7 of the Technical Support Document states that "Fibrominn plans to sell its flyash for fertilizer." "Statement of Rupert J. Fraser, Chief Executive Officer, Fibrowatt LLC, Yardley, Pennsylvania," Testimony before U.S. Congress, Committee on Ways and Means, Select Revenue Measures Subcommittee, Statement for the Record (Congressional Testimony on Section 45 Tax Credits), May 3, 2001. Available at: http://waysandmeans.house.gov/srm/107cong/5-3-01/record/fraser.htm In the testimony, Fraser states: "This ash can be sold as a fertilizer." "The County Commissioner of Dorchester County - Regular Meeting Minutes," August 15, 2000. Available at: http://www.commissioners.net/081500.html Under "FIBROSHORE PUBLIC HEARING" the minutes attribute the following to Eric Jenkins, a Fibrowatt representative: "He also stated that FibroShore's process is to combust poultry litter and forestry residue, producing electricity and ash, which can be sold as fertilizer." Note 11 supra. The air permit issued by the Minnesota Pollution Control Agency to Fibrominn relies on data reported by Fibrowatt's from their Thetford facility in the UK. U.S. Environmental Protection Agency Toxic Release Inventory data, 2000. Available via the Right-to-Know Network. Koch Sulfur Prods. Co. 31,000 Industrial Inorganic Chemicals Rosemount Dakota Koch Inds. Inc.
International Paper Co. 28,125 Paper Mill Sartell Benton International Paper Co.
Boswell Energy Center 23,000 Power Plant (Coal) Cohasset Itasca Allete Inc.
Northern States Power Co. 8,300 Power Plant (Coal) Becker Sherburne Northern States Power Co.
3m Cottage Grove Center 615 Paper: Coated and Laminated Cottage Grove Washington 3m Co. Inc.
Potlatch Corp. 94,139 Paper Mill Brainerd Crow Wing Potlatch Corp.
Potlatch Corp. Mn P & P Div. 49,338 Pulp Mill Cloquet Carlton Potlatch Corp.
Koch Petroleum Group L.P. 36,000 Oil Refinery Rosemount Dakota Koch Inds. Inc.
Boswell Energy Center 19,000 Power Plant (Coal) Cohasset Itasca Allete Inc.
Northern States Power Co. 6,600 Power Plant (Coal) Becker Sherburne Northern States Power Co.
International Paper Co. 2,560 Paper Mill Sartell Benton International Paper Co.
3m Cottage Grove Center 1,595 Paper: Coated and Laminated Cottage Grove Washington 3m Co. Inc.
American Crystal Sugar Co. 250 Beet Sugar Moorhead Clay American Crystal Sugar Co.
"Fibrowatt plant is cleaner than coal-fired power plants," Fibrowatt handout, November 2007. "Hogging It: Estimates of Antimicrobial Abuse in Livestock," Table 14, Union of Concerned Scientists Report, January 8, 2001. Available at: http://www.ucsusa.org/food/hogging_exec.html Chlortetracycline use is estimated at 1,418,675 lbs per year in the U.S. Amprolium use is estimated at 789,299 lbs/year, totalling 2,207,974 lbs/year of these 2 chlorinated drugs alone. Roxarsone use is estimated at 1,972,443 lbs/year. When combined with Arsanilic Acid use (371,435 lbs/year), arsenicals total 2,343,878 lbs/year -- about the same as just two of the several chlorinated drugs. The many studies which were separately footnoted here are now consolidated on the Metals as Catalysts for Dioxin Formation website, Dioxin Homepage, http://www.ejnet.org/dioxin/catalysts.html. Fibrominn Biomass Power Plant Air Emission Permit No. 15100038-004, issued by Minnesota Pollution Control Agency, Feb 9th, 2005. http://www.pca.state.mn.us/air/permits/issued/15100038-004-aqpermit.pdf. Continuous Emissions Monitoring Systems http://www.ejnet.org/toxics/cems.html.